Roger Cyrille VanSteenkiste was born June 3, 1927 in Tielt, Belgium to Marie Demeulenaere VanSteenkiste and Gerard VanSteenkiste. Shortly after he was born his father, mother, and sister Margaret, immigrated to the USA through Ellis Island. A brick has been laid there in his honor. They settled in Detroit, Michigan, where his little sister Simone was born. Gerard found work and Marie became the first woman barber in Detroit. The back room of the barber shop was their home until they bought their first house in Grosse Pointe. Roger had a strong work ethic and he became a salesman at a young age, selling magazines. He was also an Altar Boy at age 7. He said he had a desire to become a priest, but meeting girls changed his mind. At the age of 14 he was accepted into the prestigious Henry Ford Trade School, where he graduated Valedictorian of his class. While completing his academic studies he was also schooled in the hands-on skills of a machinist, learning design, drafting and metallurgy. He continued his education at the Detroit School of Applied Science. 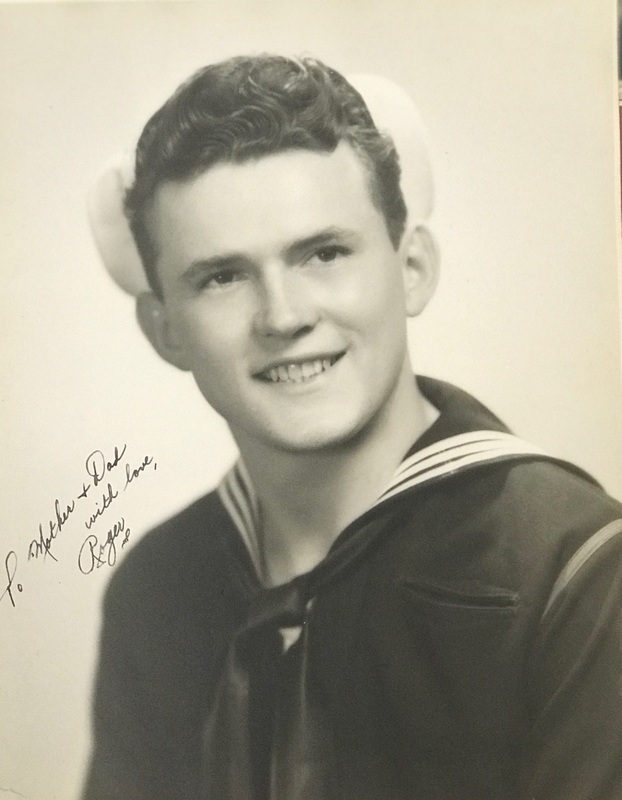 After graduation, Roger served his country faithfully in the Navy. When he returned home from the service he went to work for Excello Corporation and traveled across the country. On a business trip to New Orleans he met Marjorie Ann Conner. After six short months they were married, on August 30,1952 in Nashville, Tennessee. 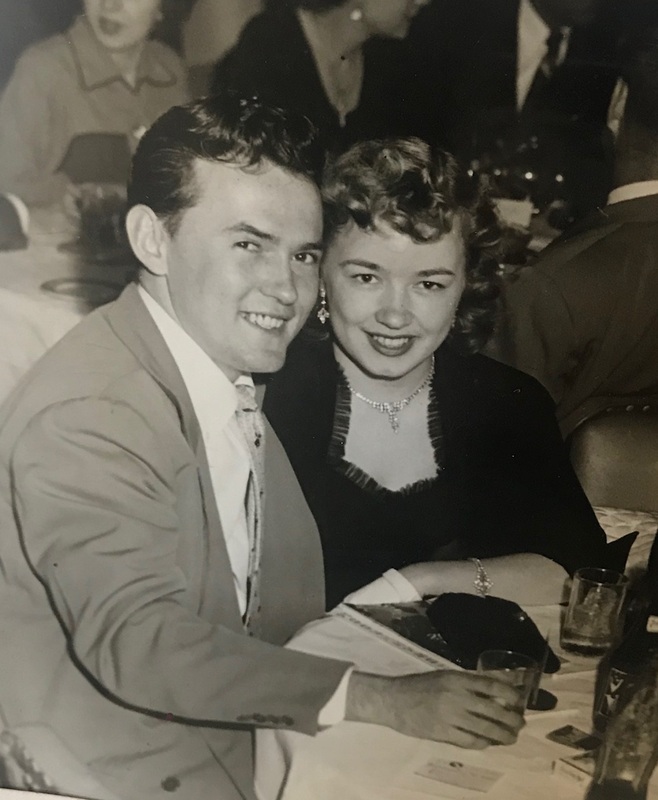 After 6 months in Europe with Excello, Roger was offered a position with Potlatch Paper Corporation in Los Angeles and the newlyweds made the decision to “Go to Hollywood”. They lived in a small apartment on Laurel Avenue before moving to their first of two family homes in Downey, California, where each year Roger built fabulous Christmas displays and busloads of people came to see them. While working for Potlatch, Roger became friends with the President of Mexico and he was very instrumental in getting milk added to elementary school lunch programs throughout Mexico. Roger’s fame in the dairy industry grew and he was the most welcomed salesman wherever he went. In 1969 they made the move to Walnut Creek, California and he started his own business, Fas-Co Coders. He invented dating equipment for the dairy industry and became a leader in that field, with many international customers and a satellite office in London, England. His business contacts were worldwide and he made many overseas trips, making new friends everywhere. In 1994 he moved the company to Chandler, Arizona, where he continued to manufacture several new coding systems. The business was sold to a large company from France in 2003. He then started Fasco Enterprises to provide parts and service to customers still using his original equipment and that business remains in operation today. Roger continued to work daily until he retired in 2008. Roger was an optimistic, intelligent and charismatic family man. He enjoyed coaching Little League baseball and led his boys to several championships. As a fan of the Diamondbacks, he was a regular at games for several years. 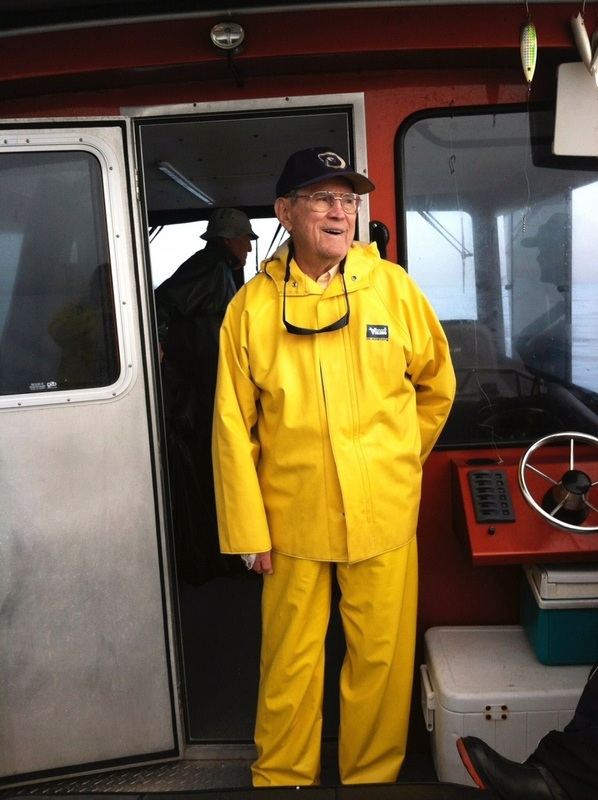 He was an avid fisherman and shared this love with his children and friends. He was a Frank Sinatra fan, and in his youth won many talent contests with his fabulous singing voice. He was always ready for a little song and dance. He loved traveling and seeing the world but it was his personal relationships that gave him the most joy. His positive attitude allowed him to see the good in others and he always greeted people with a big smile. He was an amazing husband, father, grandfather, great grandfather, friend and mentor. His Christian faith was very important to him faithfully attending weekly Bible studies and saying his nightly prayers which he never missed. Roger fell asleep in Christ peacefully at home on May 18, 2018, at the age of 90. His earthly legacy lives on with his wife Marjorie of 65 years, son Greg VanSteenkiste(Joan), daughter Judy Reber(Mike), son David VanSteenkiste(Tracy), five grandchildren, sixteen great grandchildren and his sister Margaret Dubey. He was proceeded in death by his parents and younger sister Simone Erz. He will be deeply missed and we look forward to that day when we will be reunited. I Thessalonians 4:13-18…Wherefore comfort one another with these words. A Celebration of Life in his honor will be held at the Val Vista Lakes Clubhouse on June 14th, with a reception from 5-6:30 followed by a memorial service. What a wonderful life he had and so happy I was able to spend time with him!! Roger was a faithful man who loved and worshipped God with great reverence. He has left behind a wonderful legacy to many who follow. We are thankful for Roger’s presence with his lovely Marge who faithfully drove many miles to hear God’s Word. We were truly blessed beyond words to have known him. It could be today!!!! What a wonderful memory of your father. Thanks for sharing. Roger was my mentor and dear friend. Loved many discussions while traveling with him on business. So honored when he listened to my ideas and input. Cherish the time I shared with him. So glad to have had the chance to see his smiling face one last time during Thanksgiving 2017. Priceless. To the VanSteenkiste family, my heart goes out to you all at this time. Love you all and will keep Roger in my heart forever. Cried as I read the obituary, love this man, so glad we shared the moments we did, he is a giant of a human being and I am grateful to call him May “friend”. Cried as I read the obituary, love this man, so glad we shared the moments we did, he is a giant of a human being and I am so grateful to call him my friend! I only knew him casually, but every time he was friendly and a joy to visit with. My condolences to his entire family for the loss of your beloved father, grandfather and great grandfather. Hugs and prayers to all the family. 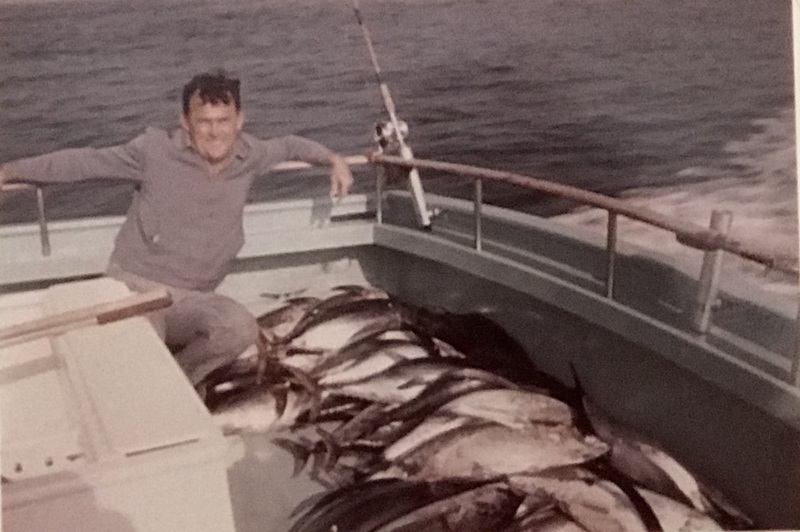 You know how much we adored this man and the friends and family that he introduced us to over the years through his love of fishing in our part of the Sea of Cortez! Vaya con Dios Senor!!! Speaking for all of us at You Fit, we will miss Roger’s smiling face in our club. He was a wonderful man and always made the day better by coming in for his training. God bless all of his family for sharing him with us all these years. Rest In Peace sweet Roger. So deeply sorry for your loss! Roger was a kind and funny man and he will be missed! Sending love and healing thoughts! since 7th grade. In High School he & marge we’re always at the football games & called us Charlie’s Angels. Roger, Marge, Greg, Judy & David will always be my other family. We are so very blessed by knowing & loving Roger. Sending heartfelt love & prayers.